Asus' ZenWatch 3 doesn't look like a smartwatch. It looks like a watch! Aside from the Apple Watch, the Huawei Watch and maybe the Moto 360 Sport, most first-gen smartwatches have been utter balls. That's why we're pretty excited to see the ZenWatch 3 from Asus launch at IFA 2016. 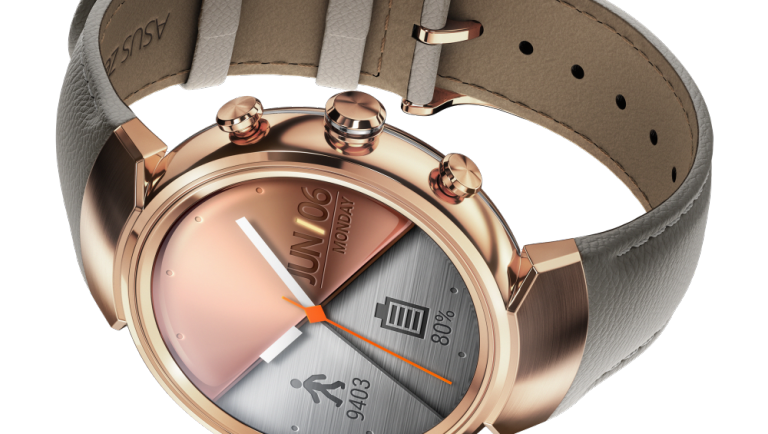 A smartwatch that actually does look a bit more like a watch. We're interested to see what it's like in use rather than under show lights so we'll review it just as soon as Asus send us one. It's got Android Wear (so it works with iOS and Android of course). It's got activity tracking (naturally). It's made from jewellery-grade 316L stainless steel (82 percent stronger than conventional steel, apparently). There are three crown buttons providing quick access to frequently used stuff, including opening the ZenFit activity tracking app and customising the display. There's “a choice of luxurious straps to provide sophisticated looks and all-day comfort”. So different straps, then. Thanks. There's actually two different designs – leather or rubber, each available in dark brown or beige. The screen is a 1.39-inch AMOLED display with 400 x 400 resolution and 287ppi pixel density. The scren is covered in extra strong 2.5D CorningGorillaGlass.